Singer-songwriter, Tei Shi is one to watch and Culture Piece is definitely tuning in! When I heard Tei Shi was coming to Minnesota, I knew automatically that I had to find a way to see her and maybe even interview her. 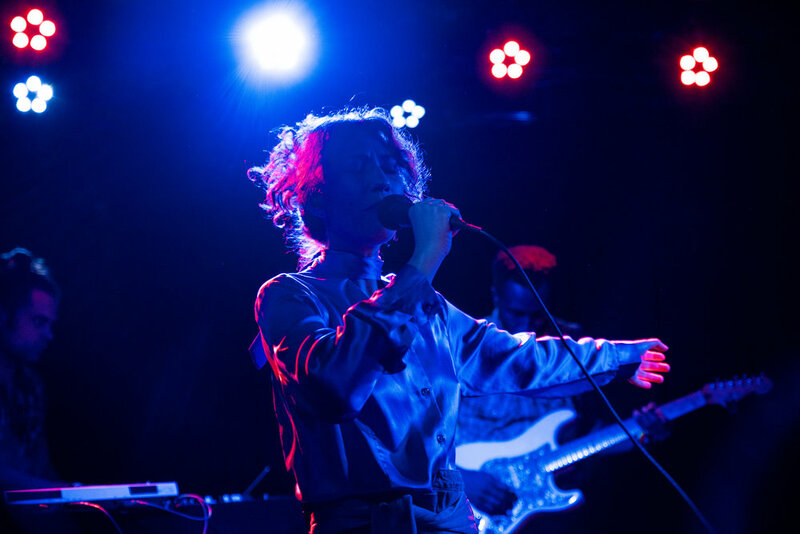 Her late night show at the 7th Street Entry in Minneapolis was without a doubt, Tei Shi. New songs from her highly anticipated album Crawl Space were the focus. This eerie mermaid music damn near cast a spell on every person in the room. I don't know if it's her voice or simply the energy she exudes to be honest. Thankfully, she agreed to let us in the mysterious and beautiful thing that is her mind. Check out the Culture Piece Magazine exclusive interview below! Maya Clark: I remember seeing you perform at Electric Forest 2016, how does it feel performing there versus touring North America now? Tei Shi: Playing a festival is really different from playing your own show. At a festival you’re often part of something bigger and it’s a fun environment, but when you’re doing your own shows you get to set the tone and you know the people there came because they like your music and they’re familiar with it, so it’s a very different energy. Doing my own headline tour has been the most interesting for me so far and the biggest learning experience, and it can feel much more rewarding and personal than a lot of festivals. MC: I'd like to think that you're my own personal discovery haha. Of course, you're known worldwide though. What has the climb to the top been like? TS: I’d say I’m definitely still on the climb! But the past few years, since I started making music and putting it out there have been a very gradual and natural growth for me. I feel like I’ve paced myself, and making this debut album was something I wanted to take time to craft, so I really disconnected in order to make it. It’s been very rewarding to see where I started out, making music and doing it all very independently and DIY, and getting to a point now where I have a team, and people come out to shows in different countries and I’m able to connect with a wider audience. MC: Describe your creative process. How did you come to get the sound that is so distinctly "Tei Shi"? TS: I’m still figuring it out, and I don’t think it’s something that I’ve necessarily defined or achieved, because it’s a constantly evolving thing, and I guess that’s what is fun and exciting about it. It really just comes from a place of knowing what I like and what I don’t like—and what I like is very eclectic and diverse so I pull from a lot of different tones and influences and styles that I guess I’ve been gathering throughout my life. I’d like to think the main thing that defines the ‘Tei Shi’ sound though is the voice, and that is something that I try to make pretty central to every song and be flexible and experimental with. MC: Both times Culture Piece Magazine has seen you, the fans have been so different. You have perfectly described your sound as "mermaid music"; why do you think your sound resonates with such a diverse crowd. TS: I’d like to think my music resonates with a diverse crowd because I myself have a diverse taste in music, and I try to channel that variety of genre and styles in a way that creates something new that can appeal to people who love electronic music, pop music, R&B, and more indie-rock type of stuff. I grew up moving around a lot and have a mixed cultural background so I consider myself a pretty diverse person, and I think that attracts people who are similar in that way. MC: Who are some of your biggest musical inspirations? Do you ever take inspiration from things other than people/personal experiences? TS: Definitely, I don’t think I’m ever inspired super directly by any one artist or type of music. I feel like the inspiration that later gets put down into music is more subconscious and subtle and it’s drawn from every day experiences, interactions, things I’m going through personally, or even things I may see visually in film or art or fashion—it’s like picking up little bits of a mood board across a lot of different mediums and then drawing from it when it surfaces. MC: We know you love Beyoncé, but we have to ask: Beyoncé or Rihanna? TS: This is a tough question because I don’t believe anyone should have to choose! They are both amazing and different from one another, and I don’t think they should be seen as competing against one another. Beyonce is one of the most incredible vocalists out there—she’s one of the greats, and she has been defining pop music for decades. Rihanna is just flawless and is such a great performer, and she is consistently taking risks which I love.